Recreation vehicles today have multiple electronic circuit boards controlling various systems within the rig. These sensitive electronic systems are vulnerable to power surges and voltage fluctuations common in today's campgrounds, primarily caused by the high demand for power. 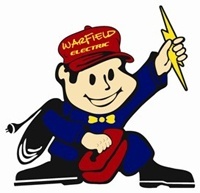 It is our experience that many campgrounds, fairgrounds and park pedestals are incorrectly wired. The Surge Protector protects against these problems and reduces risk of damage to the RV's electronic systems. The surge protector protects your RV from improper electrical power...over/under voltage...reverse polarity...open ground...high low frequency...and has digital readout of error codes, voltage, frequency and amperage being used...saves your electrical and electronics. The Surge Protector works by monitoring the source power, and when an electrical problem is present, the Protector reacts almost instantly by 1-shutting down the power to the rig or 2-by absorbing the excess energy from a power surge. 5 Mode surge protection: This feature provides full surge protection L-N, L-N, L-G, L-G, L-L, and N-G. Total Joule rating is 3640, response time of <1 nano second. Manual bypass: To bypass the computer circuit in the EMS in the event of computer failure, thus allowing source power into the RV. This does not disable the surge protection portion of the EMS.